I'm lucky enough to be a part of a series highlighting #5DaysofAOS. I received these jeans in the mail about two weeks ago and literally cannot stop wearing their brand of jeans. Articles of Society jeans feel and fit like designer jeans but with real-girl prices. It's heaven. Best of both worlds if you ask me. You can also find their jeans in Nordstrom. Yep, they're that good. 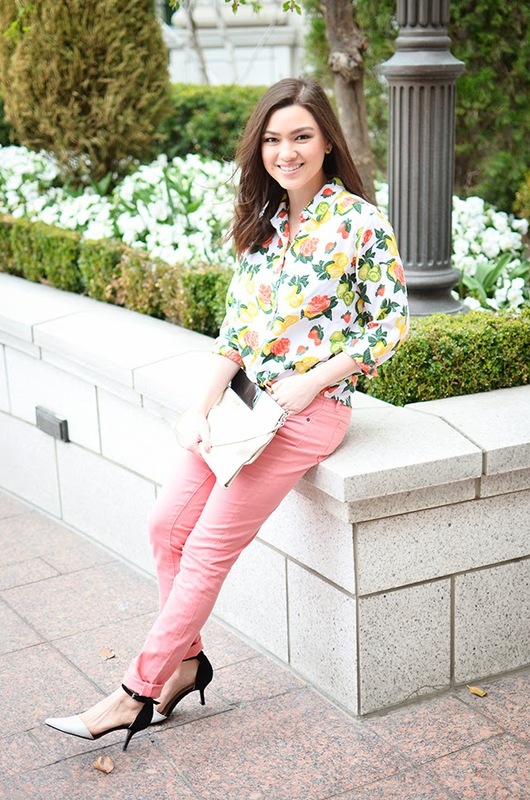 I paired my Nantucket jeans with one of my favorite springy tops. Basically, if it has lemons, strawberries, pineapples, it's guaranteed to have my heart. 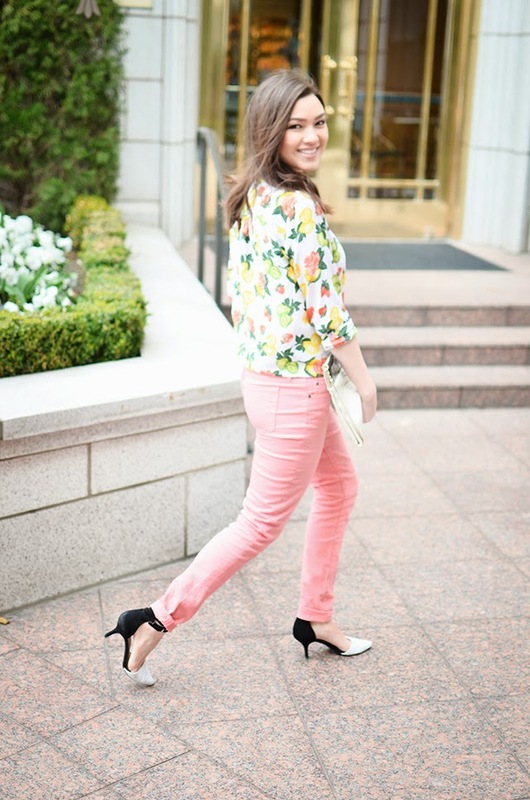 (Lately my newest obsession is flamingo-print. Holy cute.) Check out some of my latest finds below. This is so adorable! I am in love with the top! 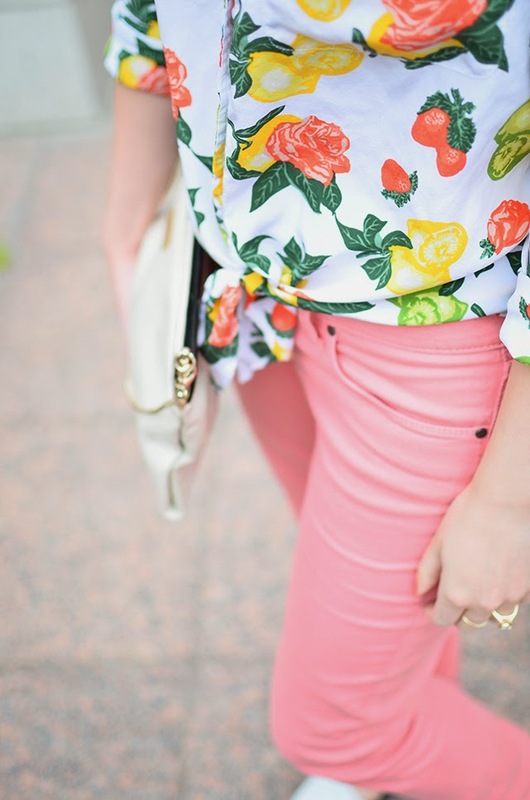 What an awesome spring outfit! Love everything about this outfit! So adorable! Gorgeous! Love everything you're wearing!